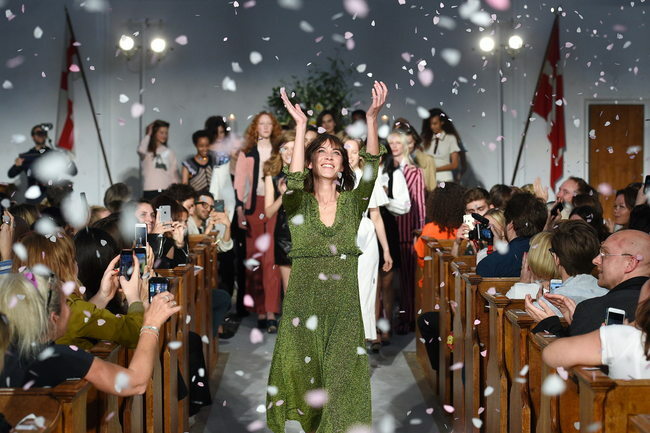 Alexa Chung, the British It girl, is launching her own fashion label. 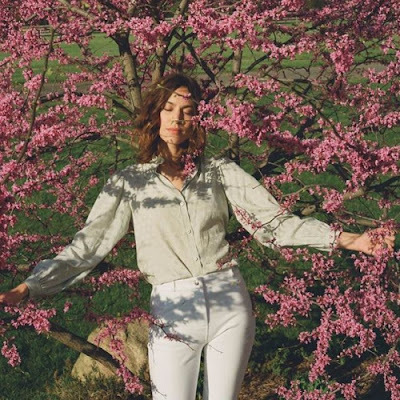 In less than 24 hours, in May 31st, the clothes will go on sale both on her website: www.alexachung.com and other high end shops. But this is only the beggining as the model says she will like to open her own store someday. With only 33 years, Alexa has a long career on her back. She started as a model, became an it-girl, worked as a TV presenter and as journalist for various publications. Not long ago she also created her own fashion app, Villoid and she creates hew own fashion label. But this is not her first time designing, as she has previously worked with various brands in capsule collections. She´s worked with both, AG Jeans and Marks & Spencers twice, and not surprisingly they all sold out. Alexa Chung is known for her unique style. In such short time she became a name in the industry for beeing a pioneer in many trends. I think we could add "trend setter" to her CV. We all love her original and laid back, almost classic, elegant but casual style. Straigh leg jeans, peter pan collars, the Alexa Mulberry bag, thights for everything, flats, Conver and Hunters, neutral colors, layering, textures and a lot of denim are a few of her wardrobe essentials. As regards this collection, I still haven´t seen it completely, but some press pictures were released as well as some magazines photographs for Vogue and L´Oficiel. 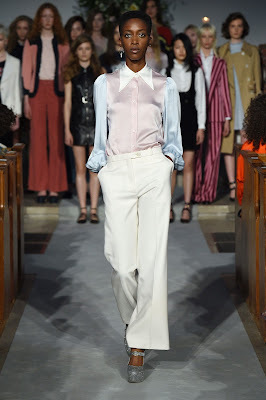 So far, we see shirts, polo collars, midi "granny style" dresses, pinafores, striped knits, japanesse inspiration and very neutral colors and classic shapes. 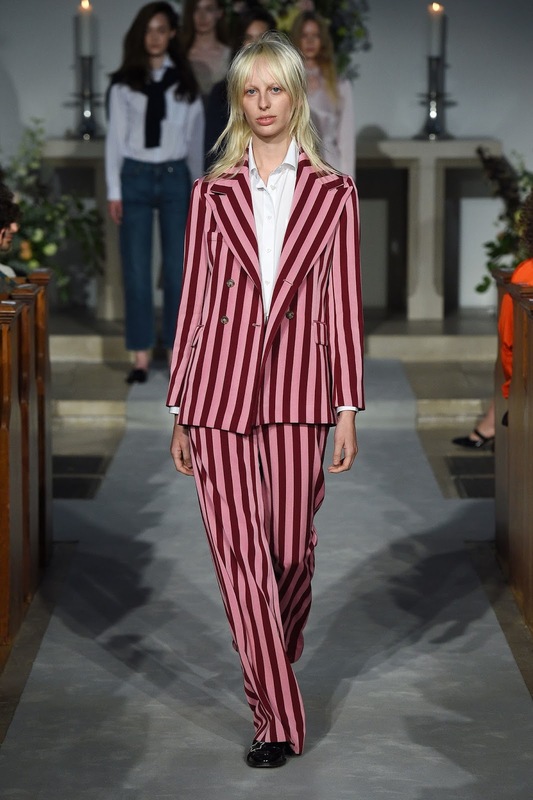 Everything reminds me of Alexa and I can´t wait to see how she style this pieces on a daily basis.